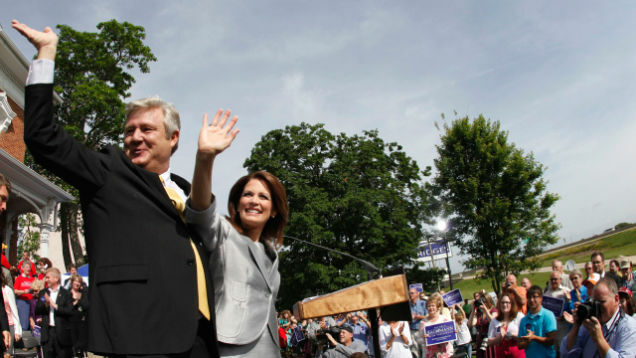 Since Tea Partying hostess-with-the-mostest Rep. Michele Bachmann declared her presidential candidacy, Dr. Marcus Bachmann—her gay-barbarian discipline-advocating therapist-husband—has been drawing heightened attention on his own. Some people, including famous-type ones, think maybe Bachmann's a gay barbarian as well. Cher, who used her Twitter the other day to riff on Bachmann (as the gay news website Towleroad noticed). Pundit Andrew Sullivan, who called Bachmann a "ssuper-sserial hunter of gays" and then compared him to Waiting for Guffman character Corky St. Clair. The Daily Show co-creator and satirist Lizz Winstead, who tweeted that Bachmann is "the white Al Reynolds." James Urbaniak of The Venture Brothers, who Tumbled: "It's pretty much a given that the most vociferously homophobic men are usually repressing something. But, oh Mary, Michele Bachmann's husband Marcus takes the ever-loving cake. He's a cure-the-gay therapist out of a John Waters movie. I haven't seen flames this high since the last California wildfire..."
Kids in the Hall comic and television actor Dave Foley, who asked via Twitter: "How can Michele Bachman be opposed to gay marriage when she is married to gay man." Foley made a few other tweets about Bachmann, using "#MarcusBachmanIsSoGay"; the hashtag got a bit of traction. Keith Olbermann referred to Bachmann as a "bizarre-sounding man who's calling gays 'barbarians'" and wonders how you can "hide" him without putting him in some sort of closet. Also, someone has created a @DrMarcusBachman Twitter feed. And at least one blogger believes Bachmann would make a "fine First Lady of the United States." People started questioning Bachmann's sexuality well before his wife announced her presidential campaign. Back in September 2010, for example, Truth Wins Out—a nonprofit whose mission is to fight "anti-gay religious extremism"—posted on its website a YouTube of Bachmann with the comment, "Comment not necessary." That vid got people talking, but not at the level we're now seeing. Will his sexuality become a bigger issue as Mrs. B's campaign churns along? We'll see. As long as the Bachmanns continue to display traits that seem to be at odds with their positions on the issues, they're sure to inspire more ridicule. 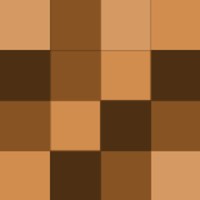 Whether that ridicule is justified or unseemly is a debate within itself. In addition to promoting the cause of gay discipline, Bachmann has also donated to a group that's trying to ban gay marriage in Minnesota. He might want to stop that kind of thing, if he wants celebrities and others to stop tweeting about him so much.